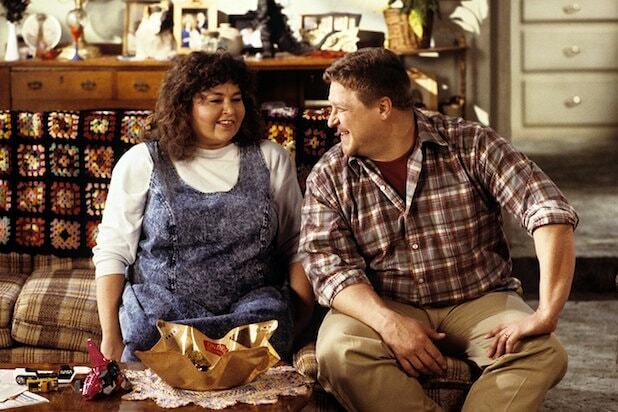 Roseanne Barr and John Goodman have been added to the list of presenters for the 75th Golden Globes Awards. Barr and Goodman are joining already announced presenters “Game of Thrones” stars Kit Harington and Emilia Clarke, Angelina Jolie, Jennifer Aniston, Emma Stone and Helen Mirren. Goodman and Barr are starring in the “Roseanne” revival slotted to return to ABC on March 27 at 8 p.m.
Guillermo del Toro’s “The Shape of Water” leads the movie nominations with seven nods, and HBO’s “Big Little Lies” took the lead for most nominations in the TV category with six nods. You can see the complete list of nominations here. Seth Meyers will host the awards ceremony, which will are live on NBC on Sunday, Jan. 7, at the Beverly Hilton Hotel at 8 p.m. ET/ 5 p.m. PT. Follow @GoldenGlobes for updates on the show. “Big Little Lies” already raked in a ton of Emmys, but with a second season of the hit drama officially in the works, more recognition can’t hurt. Amy Sherman-Palladino’s “The Marvelous Mrs. Maisel” earned rave reviews from critics but largely missed the buzz of casual viewers. Should it win in one of the two categories it’s up for, that could bode well for the underrated series. Golden Globes voters love to recognize potentially hot new shows, as it’s done with “The Crown,” “Mr. Robot” and “Mozart in the Jungle.” Frankie Shaw’s “SMILF” has already been picked up for a second season, but a win could turn new eyes on the Showtime half-hour. Every broadcast network not called NBC is starving for a show that sits at the intersection between crowd-pleaser and awards-bait. ABC already has half that equation with “The Good Doctor,” but the network is surely hoping to turn it into a true “This Is Us” competitor with a statue for star Freddie Highmore. 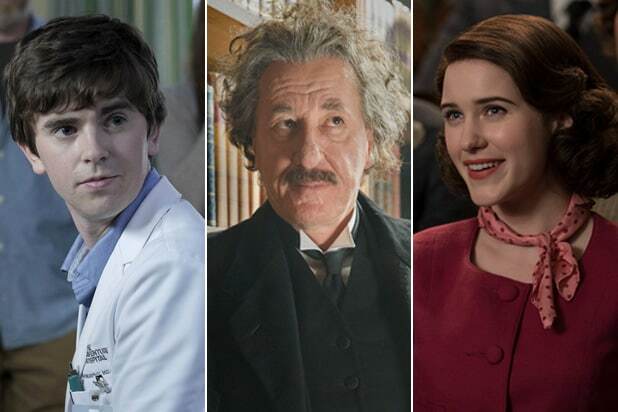 National Geographic’s anthology series “Genius” earned a slew of Emmy nominations for its first season, but none of them panned out in the packed limited series categories. But for a cable network making a bold foray for scripted success in the peak TV era, a Golden Globe could help make that strategy seem a little less risky. USA’s “The Sinner” was probably the biggest surprise on the list of TV nominees, and should the Jessica Biel-led limited series topple the likes of “Big Little Lies” and “Feud: Bette and Joan” to come out with a win, it would be a huge upset. “This Is Us” missed out on the win last year in favor of Netflix’s “The Crown” and was topped at the Emmys by Hulu’s “The Handmaid’s Tale.” But in a world where broadcast networks are struggling to keep up with streaming options, a drama series win would go a long way toward proving that network TV is still relevant. From “Big Little Lies” to “The Marvelous Mrs. Maisel,” which TV nominees would benefit most?